Are you considering having a Hartford electrician install an electric under floor heating system in your home? Under floor heating systems can be installed under many types of flooring, and the flexible mesh gives more versatility for any floor space or area of your home. Call us if you have further questions. Meanwhile, we’ve put together a few of the frequently asked questions about under floor heating systems. How Safe Are Under Floor Heating Systems? All electric floor heating system models are equipped with safety devices to protect them from overheating. In addition, there are several layers of insulation around the wiring to keep out moisture and prevent electrical fires and damage to your home. These systems are quite safe for any home or office building. Call us if you have further questions or concerns. Can I Install An Electric Under Floor Heating System Myself? As with any electrical equipment or wiring, we highly recommend that you hire a licensed electrician to install any new equipment. While they are ideal for new home constructions, they can be installed in existing homes as well. Keep in mind that we are one of the largest service providers for wiring and installation of electrical equipment in new homes. We hire only licensed electricians who are familiar with all the local codes. We also provide routine maintenance and electrical repair services, 24/7. Do I Need GFCI Outlets Installed? Yes, all under floor heating systems that are in areas where they are exposed to moisture need to be installed with a GFCI (ground fault circuit interrupter) outlet. You may already have these installed in your kitchen or bathrooms. Some thermostat controls have built-in GFCIs, but call us before you install one of these. We can handle all new installations. 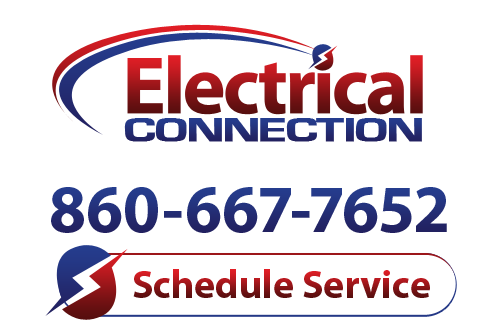 Call Electrical Connection for electrical installation in Hartford and all of Connecticut!